What’s the counterbore and countersink? 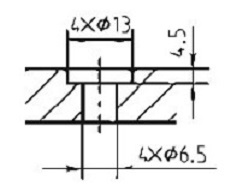 Somebody may not know the different between counterbore and countersink on PCB. Both are used to mount nails to keep the PCB in the suitble position. 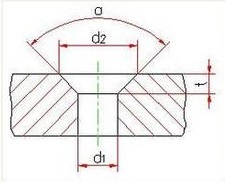 The cross-section of the counterbore looks like letter “T”, but the countersink looks like a funnel. Pls visit our website if you have more questions about PCB. Normally PCB which only one conductor is single layer PCB. Common conductor are copper , AgPd (Silver Palladium) AuPd (Gold Palladium ), Al(aluminum). Normally, for FR4 PCB, metal core PCB and Flexible PCB, the conductor are copper. For ceramic PCB, the conductor can be copper, AgPd and Aupd. Here some common structures for your reference. Of course, there are some special circumstances, even only one conductor, but they are not single layer PCB, they are named Dual Access PCB. Yes, we can make the MCPCB without solder mask! How to do MCPCB without solder mask? 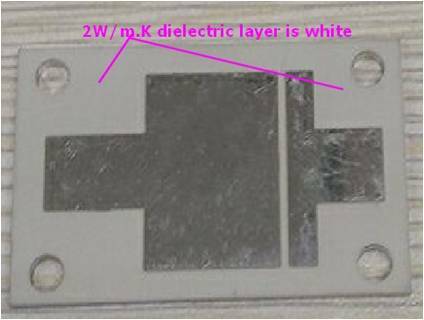 Second step, etch copper to get the trace, the areas without trace will expose the dielectric layer, the color of 1W/m.K & 2W/m.K raw material is white, 3W/m.K is light blue. 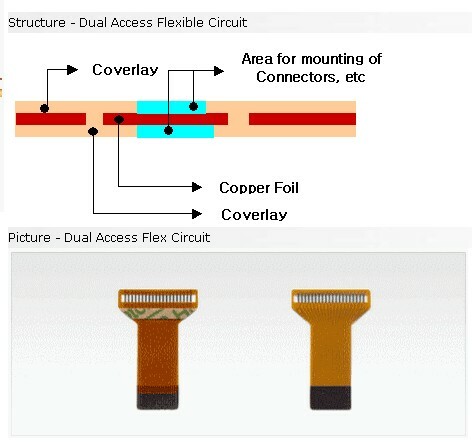 Third step, do the surface finish, HAL-LF, OSP, ENIG, etc…，here you will kow for no Soldermask ,it have to do surface finishing for all circuits,so if you would like to protect parts of circuits layer and which don’t need do surface finishing. MCPCB without solder mask have no bad influent the function of the board, so solder mask with or without, only depends on your requirement.please visit for metal core PCB if you would like to know more. According to the JPCA – ES – 01-2003 standard: chlorine (C1), bromine (Br) is less than 0.09% Wt (weight ratio) of the copper clad, defined as halogen-free copper clad. (at the same time, the CI + Br total less than 0.15% [1500 parts per million]) Most of the halogen free materials are mainly composed of phosphorus and phosphorus nitrogen.when the phosphorus resin burning, it will thermal decomposition by heating and generate partial poly phosphoric acid,the partial poly phosphoric acid have strong dehydration property to come into being the carbon film on the surface of the high polymer resin,to insulated resin burning surface is exposed to air, that the fire is extinguished, flame retardant effect. What’s the meaning for S/M in PCB? S/M means solder mask, it is a kind of the Liquid photosensitive ink, it is the green, yellow, red, black or white color on PCB surface. 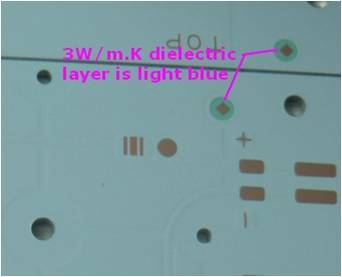 We print solder mask on the PCB surface that no need soldering, and then drying and curing. With solder mask, the Tin won’t stick to the PCB. Three years above experience in sale,2 years experience in Director of the ministry of foreign trade. Experienced with PCB or electronic is prefered. Develop customers independently, customer management and Excellent customer analysis and business negotiation skills. Manage Foreign trade team and Lead the group to complete performance targets. Fluent English:Can communicate with foreign session skilled, face to face to carry out business activities. One year above working experience. Professional and academic: Business English, international trade,Marketing,etc, college degree or above; Secondary students will be fine if outstanding ability. No required for the experience in L/C, Trade documents and shipping management.Our payment is T/T and Net 30 days. Products:Metal PCB,Ceramic PCB,HDI PCB,RF PCB,SMT stencil and so on. You can visit our website for more information or send your resume into info@bestpcbs.com,also send us your email if you would like to know more. You are currently browsing the PCB & MCPCB - Best Technology blog archives for March, 2016.